The 11th generation Toyota Corolla gets few changes for the 2016 model year. The most notable is the expansion of the lineup with the Corolla Special Edition. Based off the S with the CVT, this limited edition model comes with a black interior with red dash and door accents, red contrast stitching throughout the upholstery, special floor mats and gloss-black 17-inch alloy wheels. Exclusive badging is found throughout the interior as well. Electronics of note include standard push-button ignition, keyless entry via a fob, and optional power sunroof and Entune Premium audio system with navigation. Only 8,000 Special Edition models will be built. All Corollas seat up to five. The standard model is offered in four main trim levels: the base L, the well-equipped LE, the fuel-sipping LE Eco and the sporty S. In addition, the LE and above are offered in Plus and Premium sub-trims. In safety, all come with front, front-side and side-curtain airbags for a total of eight airbags. Anti-lock disc brakes, and traction and stability control systems also come standard. The Corolla earned the NHTSA's top overall rating of five out of five stars in overall safety. It also received the non-profit Insurance Institute for Highway Safety's top score of "Good" in several tests including moderate-overlap frontal-offset crashes, side-impacts and in roof-strength. Air conditioning, power windows and door locks, power side rearview mirrors and a six-speaker audio system are found at all trim levels. The number of equipment and features rapidly rises as one goes up the trim tiers. A rearview camera is standard from the LE up. Same with keyless entry via a fob. Step up to the LE Premium and you get heated front row seats while unique wheel covers come standard on the S. Toyota's exclusive Entune system offers varying infotainment capabilities depending on trim level. Two versions of the same 1.8-liter four-cylinder engine power the Corolla. All but the LE Eco get the version good for 132 horsepower and 128 lb.-ft. of torque. The one powering the LE Eco churns out 140 horsepower and 126 lb.-ft. of torque. The engines are paired to either a six-speed manual, four-speed automatic, or continuously variable transmission depending on model and trim level. The LE Eco can only be had with the CVT for example. Fuel economy of the Corolla ranges from 31 to 35 mpg in combined driving. 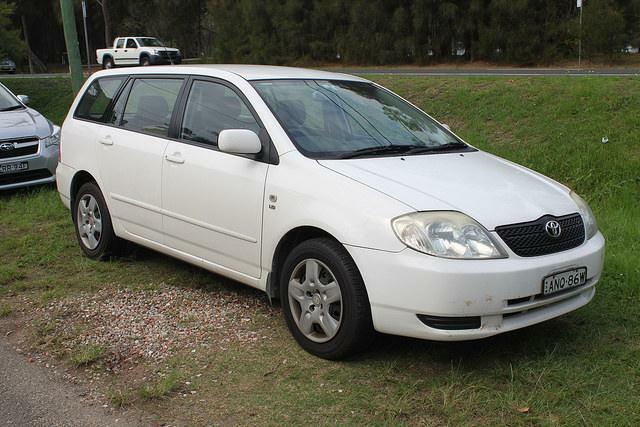 "Although the Corolla is hardly an excitement machine, it remains as dependable as ever, boasting excellent reliability scores from all groups who keep track. It also remains affordable, fuel-efficient and innocuously styled (so as not to offend anyone looking for a safe choice in the compact-car realm)." Looking for a Toyota Corolla? Browse our inventory! Contact Us to Test drive a Toyota Corolla Today!